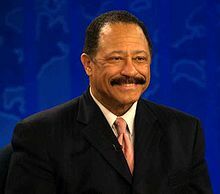 How good is it to be the man with second ranked courtroom show and the longest running court show featuring an African American judge? It is good enough to ensure you make more money than the next 4 on our list combined. These 5 combine to bring in $34.5 million annually in salary and often have the ears and eyes of millions on a daily basis. A nice day’s work at the office – or in this case the studio. 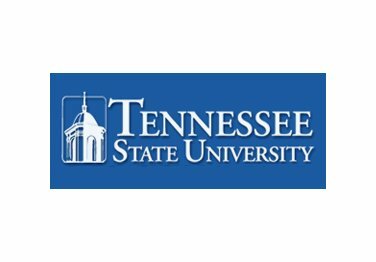 Analysis: Tennessee State University needs approximately $3.4 billion to allow all of its students to attend debt free annually. The HBCU with the eight largest endowment going into 2012 is poised with new leadership at the helm – and fair or unfair some would say a continuing identity crisis. Leadership has challenged alumni chapters to raise what could be an estimated $3 million which could put Tennessee State University in striking distance of seventh place but would need to double its current endowment of $38 million to make a run at sixth place. Tennessee State University’s identity crisis seems to be an ongoing story leaving some to wonder can the university remain an HBCU or will it succumb to calls for “diversity” which most often end in gentrification or dilution of African American institutions. This is particularly true for a school like Tennessee State University where its European American population is already over 20 percent of the institution. A strategic problem when institutional concessions have to be made for a population whose social, wealth, and political power makes it the majority even in an institution where it is the “minority”. A conundrum worth watching. Historically, while European Americans have attended HBCUs it has been hard to identify them being consistent donors back to the institution in such a way that truly supports the HBCU mission of African American empowerment. Perhaps the new leadership at Tennessee State University has the magic sauce to unlock that door but if not danger looms for the university and its endowment. As the only public HBCU in Tennessee it would behoove the school to use that status to build its graduate school presence amongst the private HBCUs in Tennessee to increase its access to higher paid alumni over the long term. Ultimately, there is no reason Tennessee State University does not become a $50 million endowment within the decade especially given that it boast the second highest return on investment among the top ten HBCU endowments. The question of whether they can become a $100 million endowment lies largely in the school’s demographic makeup and what impact that will have on giving over the next ten years.